Silent auctions are a great way to build momentum for a fundraising event, supplement live auction revenue, engage local donors and delight supporters. 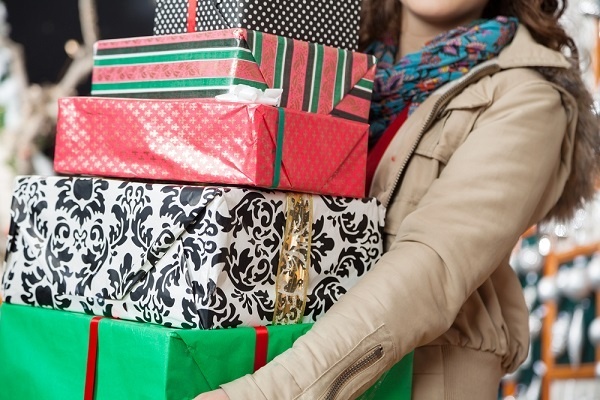 And as the holidays draw near, people will be interested in buying unique gifts for friends and family (and treating themselves!) while supporting your cause. Should we put the retail value on bid sheets? How do we determine minimum bids? Do you see value in Buy Now prices? What are best practices in closing the silent auction? How do we expedite checkout? How can we avoid miscellanous problems? Read on for expert answers and practical tips for turning your auction into an exciting, lucrative shopping spree. Should we display the values on bid sheets? Is it illegal not to put the value? Are there any times when you would put a value on items? This is a very common question among auction organizers—is it wise to display the item's retail value in marketing materials such as bid sheets, display materials, the auction catalog and online auction site? Our take: It's typically not a good idea to include prices in your auction catalog and here's why. We've found that displaying a starting bid creates a "glass ceiling" in the minds of your guests of how far they're willing to bid. Successful charity auction organizers know how to elevate items' perceived values, which has a lot more influence on final bids than their retail values. Since your guests often won't know the exact worth of the auction lots, focus instead on highlighting the items and your mission. By omitting retail value (which is often difficult to accurately estimate anyway), bidding is free to go as high as guests perceive its worth. Another great way to frame items in the best (and most valuable) light: making sure each item is accompanied by a sleek, unified and professional item display sheet. Click below for free customizable display templates. That said, we do recommend stating the value on highly subjective items, like a piece of artwork or great basket of wine. The value of these items might be underestimated by bidders - a lose-lose for both your organization and a potentially offended donor. Finally, we've never heard of not listing the value as illegal, and enforcement of any such rule seems implausible. What you may be concerned about, however, is tax write-offs. In some states and provinces, donors are allowed to write off the portion of their purchase price above retail value on a live or silent auction item. If this is a concern, please consult a tax professional for more guidance. Bottom line: Use your discretion. List prices on high-value items bidders may significantly undervalue, and omit prices where you suspect bidding can approach or even surpass retail value. Should we start off bidding with certain opening bids on silent auction items? If so, how do we determine the best minimum opening bid? For minimum bids, we suggest starting at 20 to 30 percent of the retail value of the item - never more than 50 percent. Adjust higher or lower depending on the likely popularity and exclusivity of the item. It's also essential to put bid increments on the bid sheets. You don’t want people nickel and diming the charity in the silent auction, beating out the previous person by 1 or 2 dollars. They’re here to support a cause, so be sure to put bid increments in place (either by dollar amount, say, $25 higher per line) or percentage (say, each increment being 10% of the "buy now" bid price). 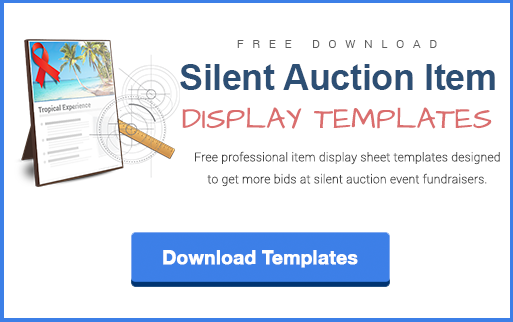 To help, we have developed time-saving bid sheet templates that are easily customizable on Microsoft Word with pre-printed bid increments. Click below to get your templates. Do you see value to "5th line Frenzy" or Buy Now bidding on Silent items? Yes, a "buy now", 5th line frenzy or walkaway option on the bid sheet works like magic to get bids. They appeal to those who really want the item and/or aren't interested in placing bids. For items that can only be sold once, any "Buy Now" bid stops all regular bidding and automatically becomes the winning bid amount. "I recommend a buy now price of 150 percent of the retail value of the item. You might be asking, Who would pay 150 percent of the value of an item? In my opinion, these walkawys bids work well for people who can't stay and want to make sure they get the item. So they really can increase revenue 15 to 20 percent." Additionally, "Buy Now" spaces lend themselves perfectly to no-risk items like Winspire trips. You can easily include several "Buy Now" spaces on your bid sheet. If more than one couple or even a group of friends wants to buy the same trip, you've quickly multiplied your revenue from a single item. Since you only pay for the trips you sell, there's no risk or upfront cost to including multiple spaces. Your designated Winspire Fundraising Specialist will work with you to determine the best packages and buy now pricing strategy for your audience. 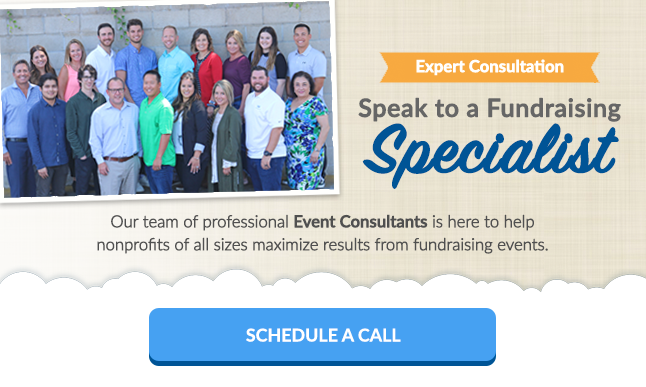 With no upfront cost, why not try out this unique fundraising tool and take advantage of their event fundraising expertise? Click below to request a call back regarding your event. Should we close the silent auction at intervals? You mentioned only 10 to 15% of the audience participates in the live auction. To keep more bidders engaged the whole night, should we close the silent auction during the live auction? This is a big (but very common) no-no of charity auctions. To maximize revenue from the live auction (which should pull in about twice as much money as your silent auction), your fundraising auctioneer needs the complete and undivided attention of the attendees in the room. She or he is trying to move that crowd in one direction and build momentum in the auction. The worst thing that can happen is to have an event volunteer come up, interrupt the auctioneer and ask them to announce the silent auction is closing. Typically a huge portion of the crowd runs off to see the items, and the flow of the live auction is lost. 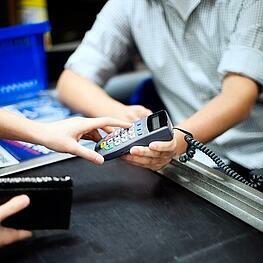 Do you have any advice on expediting checkout? Great question. While no event runs perfectly, a messy and disorganized checkout process puts a big damper on the night and unnecessary stress on volunteers, staff and winning bidders. So it's important to plan ahead. The key to success: Leave plenty of time in your auction program for checkout. Create space in the agenda for your checkout team to process bid sheets and get people out the door hassle-free. First, if you're working with an auction software company, ask guests to preregister their credit cards. With that information already on file, people can simply grab their items and go. Many nonprofits send out electronic invoices to winning bidders or just send the receipt afterwards. Next, consider bringing your audience back to their seats after the silent auction closes with raffle draws, a heads and tail game, closing remarks, an announcement of how much was made in the live auction and more. There's all kinds of things you can do to engage people—and generate revenue—for about 15 minutes while all of the silent auction sheets go off to the cashiers and they start the process of checking out. 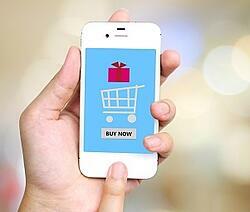 Finally, expedited checkout is a big advantage of mobile bidding. People can pay right on their phones and check out electronically. With a smooth and efficient plan for checkout, you're much more likely to end the evening on a high note and leave a positive lasting impression on donors. How do we avoid miscellaneous silent auction "boo-boos"? "As far as little boo-boos, one I see happen half a dozen times a year is where the ballroom doors open, the crowd comes flooding in, and suddenly a volunteer is running around screaming, 'Where are the pens?!' There's just so many little details that even the most experienced event fundraisers can miss." 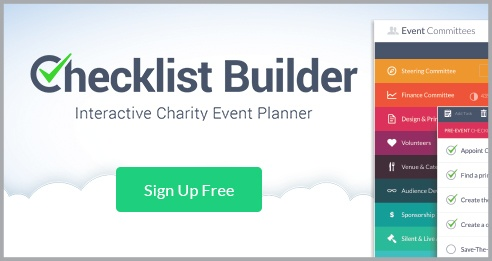 This is where our new charity event planning tool, Checklist Builder, could be an appropriate fit for planning your event. It's free to sign up (no credit card required!) and offers a bevy of time-saving resources, plus pre-populated checklists to make sure nothing falls through the cracks - including putting a pen on every bid sheet. There's also plenty of information on setting up a successful checkout process in the "Silent & Live Auction Committee", which you can access with an upgraded subscription of $99. For a short video showing how it works and to try it out, click here.